As I read Wintersong I found myself falling more and more under it's magical spell. The setting and characters just got to me. S. Jae-Jones just pin point something few can: people. No one in this book is good or bad, wrong or right. Nothing in this book is black or white and like the characters everything is in shades of grey. The heroine especially can came across as selfish, narrow viewed, but on the other has a huge heart that gives and gives. Liesl was never given the chance to grow and spread her wings, always push aside by her beautiful sister and talented brother, her own worth put on the back shelf. The thing about Liesl is, she doesn't want to be there, and in her own ways fights to break free from the place she was put. Her fight and later love of the Goblin King is every changing. It's not the, be all, end all kind of love. It hurts, it heals. It can be messy and it can be crystal clear. The first part of the book is the trial of Liesel as she gets her sister back and the later part of the book is her discovering of who the Goblin King is. Both like a symphony, changes with words either poetic or harsh. The ending could have made this a standalone, but with this type of sad (heartbreaking!) ending I'm glad we will be able to see more of Lisel and the Goblin King's love story. 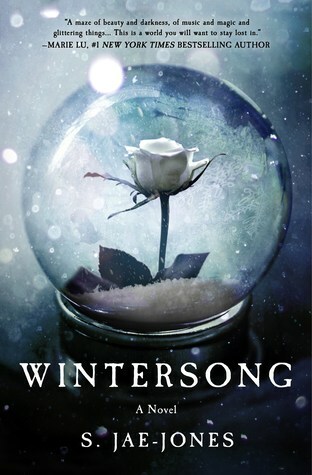 Sign into Goodreads to see if any of your friends have read Wintersong. I just borrowed the audiobook from my library! Nidofito wrote: "I just borrowed the audiobook from my library!" Sandra wrote: "Great review Rane! :D"
Nice review Rane. I agree that it shows a side of people I haven't found a lot in YA. Nidofito wrote: "Nice review Rane. I agree that it shows a side of people I haven't found a lot in YA."